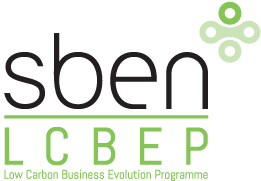 The 'Low Carbon Business Evolution Programme' (LCBEP) is run by Staffordshire Business Environment Network (SBEN) and part funded by the European Regional Development Fund Programme. The aim of the project is to help small to medium enterprises (SMEs) increase their energy efficiency and reduce their carbon footprint. Grants are available up to 60% of the value of project. Since 2016, ESP has been delivering these reviews with Staffordshire County Council, and we are proud to announce that our findings have identified over 3500 tonnes of CO2 equivalent in savings, and around 900 tonnes of CO2 equivalent has been claimed as savings through the scheme. ESP have worked with a large range of businesses and charities, from Staffordshire Wildlife Trust, to a joinery company, to an abattoir to achieve carbon and cost savings through innovative bespoke options for decreasing energy use. We have greatly enjoyed being a part of the project, and feel it has not only been interesting and enjoyable, but has been beneficial to the Staffordshire community and its businesses. To enquire, contact SBEN on 01785 277 379, or email lowcarbon@staffordshire.gov.uk. For more information, visit sben.co.uk/LCBEP.